After nearly four years of planning and preparation, a new children’s library in West Bay has been launched by several local residents who are working to foster the love of reading among youth in Qatar. 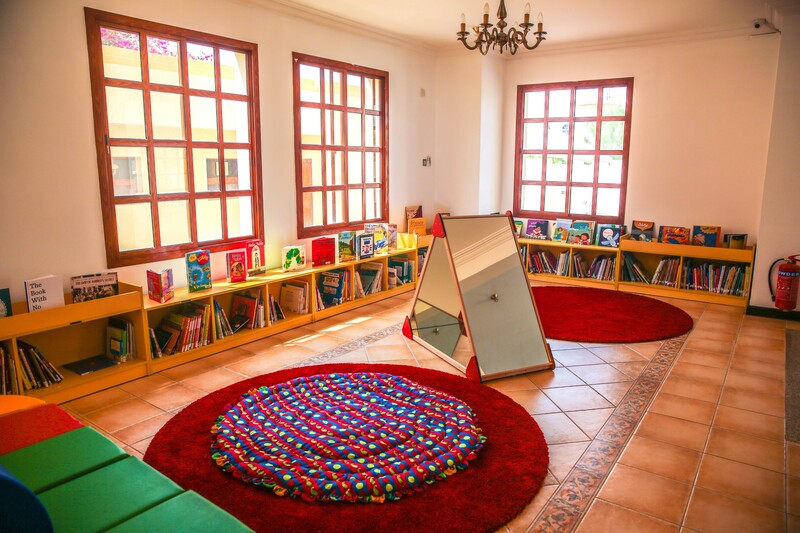 Maktaba is housed in a colorful two-story villa off Onaiza Street, near the Doha Exhibition Center, and has books written in English, Arabic, French and Spanish for younger children, tweens and teenagers. In addition to physical books, the library provides access to an array of online books and resources offered by the Qatar National Library at various computer booths. Founder Sarah Champa Al Dafa told Doha News that the need for such a facility became apparent to her not long after she moved to the country. 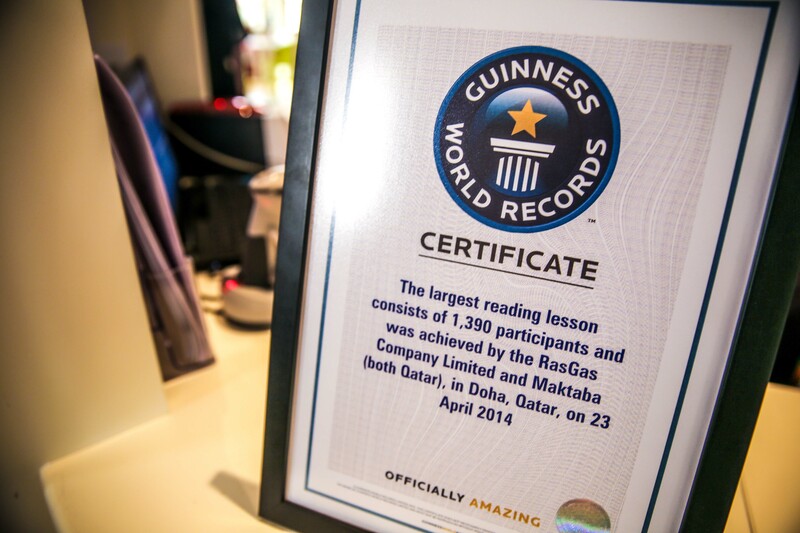 Maktaba is not the first children’s library in Qatar – Doha Mums opened one in 2010, but it is open only to members. In 2011, Al Dafa joined forces with two other young mothers – Hend Al Khulaifi, and long-time Doha resident and writer Mohana Rajakumar – to start on the Maktaba project. As the trio grappled with the logistical hurdles of launching a library, they started other initiatives to encourage children to read. They began hosting regular storytime sessions at the Arab Museum of Modern Art (Mathaf) and worked to establish themselves in the community. This culminated with setting a Guinness Book of World Records for the largest ever reading lesson after more than 1,300 children enrolled in schools around Qatar gathered at the Qatar National Convention Center last April to mark UNESCO’s World Book Day in an hour-long Arabic reading session of the book Al Ghadab (Angry) by Sarah Medina. With interest in their project growing, the trio pushed ahead with plans to create a public library catering to children and young adults. One of the challenges, however, was that Qatar lacks laws governing non-profits such as the one they were trying to create. After receiving legal advice, the group registered as a private institute for the public benefit with the support of RasGas and law firm Dentons before starting a two-year effort to hire employees, find books and locate a suitable property. Though dubbed a library, Al Dafa hopes that the space becomes much more than just a center for books. “Hopefully, to some degree, we can help bridge the divide that exists between Qataris and expats in Doha, drawn together by a shared desire for our kids to succeed, driven by reading,” she said. In addition to colorful, airy and light-filled rooms filled with books, the library has other areas dedicated to special activities such as arts and crafts, tutoring sessions and reading. 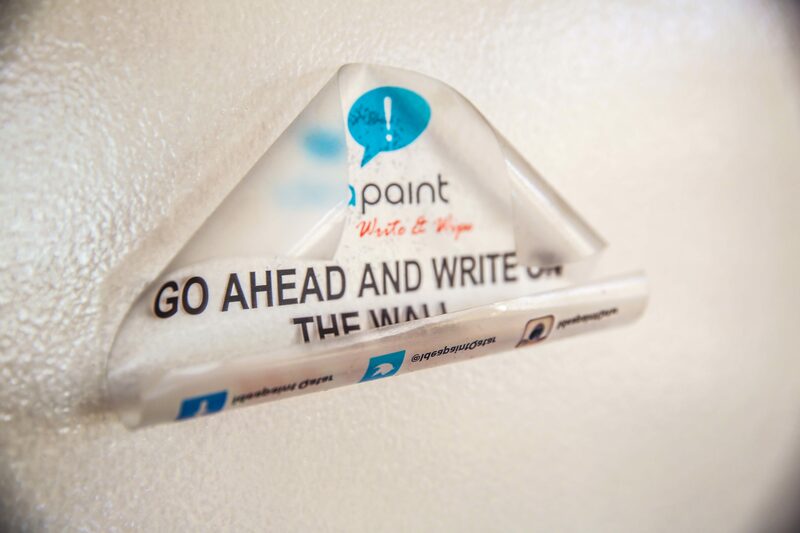 Children are also encouraged to write on the Maktaba walls in an effort to foster creativity and self-expression. As the weather cools down, Al Dafa hopes to begin a gardening club in the library’s backyard and hold regular flower, fruit, and vegetable gardening sessions. The findings followed other surveys that came to similar conclusions. Children’s literature has, in the past, fallen victim to the same censorship rules regulating publications that are imported into the country. Piglet was removed from Winnie the Pooh books in Qatar several years ago. 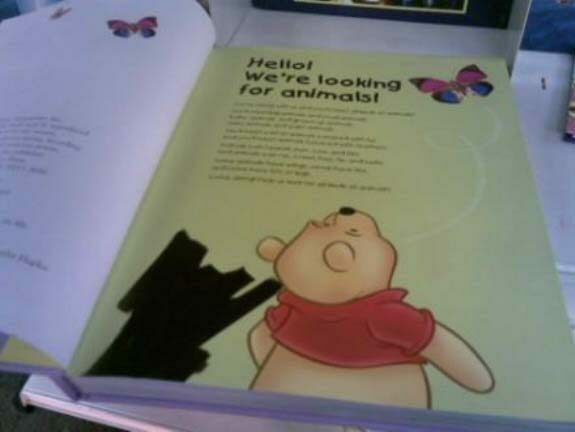 In one example, images of Piglet – Winnie the Pooh’s friend in AA Milne’s books – was blacked out with a felt-tip pen from books sold in the country several years ago, presumably because Islam prohibits adherents from eating pork and many Muslims interpret this to mean the pig is an offensive creature. Al Dafa said they had “tried to be as culturally sensitive as possible” in selecting material for their initiative. Visitors are welcome to use the library’s resources for free while in the premises. 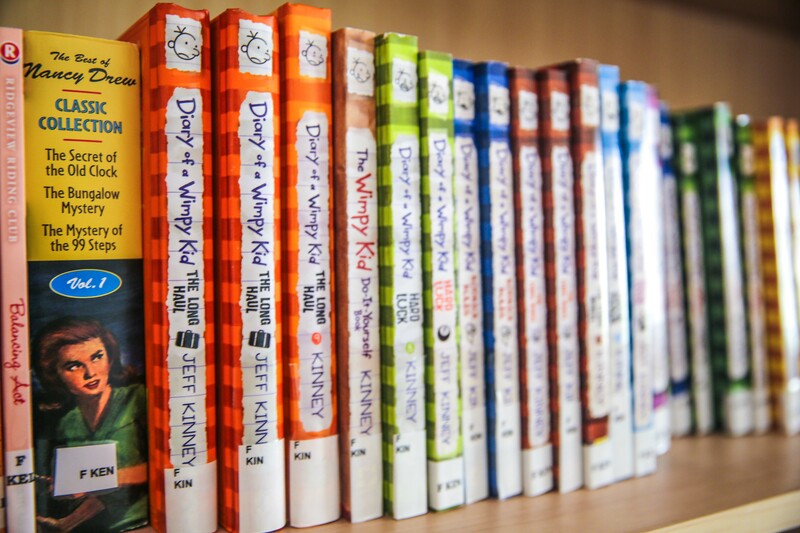 Registration costs QR500 annually for families looking to check out up to three books for a period of two weeks, or QR750 annually for larger families who want to check out up to six books at a time, in addition to a QR250 deposit. Arts and crafts sessions held at Maktaba are either free or offered at a nominal fee relative to the type of activity. The library is open from 9am to 5pm from Saturday to Thursday, but will be closed next week for Eid from Wednesday through Friday. The following week, it will resume holding free daily story time sessions at 10am and 4pm, alternating between English and Arabic as well as weekly sessions every Wednesday in French.